France. 1830. Times were tough. Violence ruled the day. For thousands, begging was a way of life. One cold winter night, Jeanne Jugan met Jesus Christ in the person of an elderly, blind, and infirm woman who had no one to care for her. Jeanne carried the woman home, climbed up the stairs to her small apartment and placed her in her own bed. From then on, Jeanne would sleep in the attic. God led more poor old people to her doorstep. There were so many old people in need of a home, so many souls hungry for love. The work rapidly spread across France and beyond. Generous young women came to help. Like Jeanne, they wanted to make a difference. Like her, they believed that “the poor are Our Lord.” A religious community was born. In 2012, the Little Sisters of the Poor serve the needy elderly in 31 countries, including Manila. In Manila, the congregation’s mission is to give respect and dignity to the elderly. This website exists to support the ongoing needs of Manila’s Little Sisters of the Poor as they graciously serve the needy elderly at the San Lorenzo Ruiz Home. We want this site to be a spiritually encouraging setting where prayers and prayer requests are made for the needy elderly. We also encourage you to donate to them, cash or in-kind, to support the residents’ daily needs. We need your prayers. 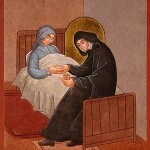 Jeanne (October 25, 1792 – August 29, 1879) was the first Little Sister of the Poor. She was beatified by Pope John Paul II on October 3, 1982 and canonized by Pope Benedict XVI on October 11, 2009. 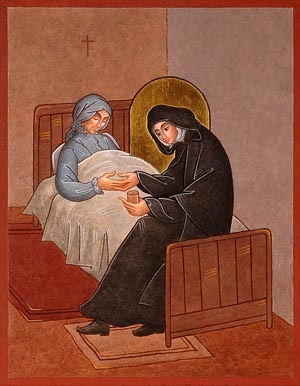 Note: The information on Saint Jeanne Jugan and the Little Sisters of the Poor was provided by The Little Sisters of the Poor Website.